Larger image (200%) around the mouse pointer on the screen. 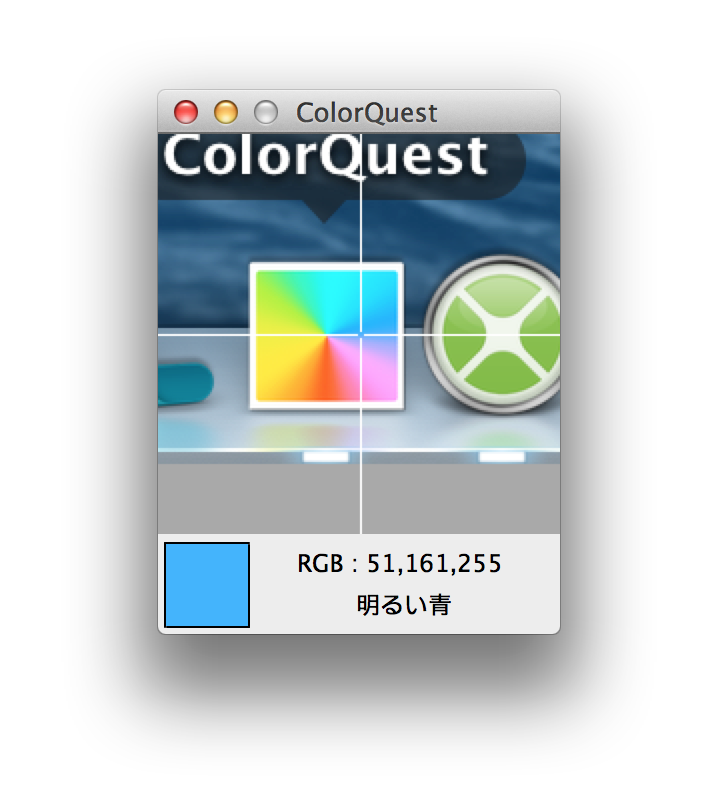 Identify the color of mouse pointer on the screen, It displays the name of the color, and the RGB values. It reads the name of the color(Edit->Speech->Start Speaking). Mac OS X 10.7 or later(Latest version strongly recommended). Mount the disk image into the machine by double-clicking the file. Copy the program to your Applications folder by using drag and drop. 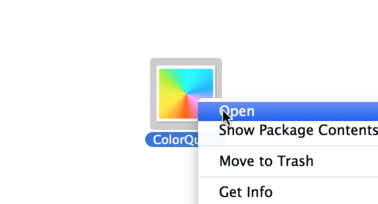 Control-click (or right-click) the app to run, and on the revealed context menu, choose 'Open'. On the ensuing dialogue box, choose 'Open'. There is no warranty for this free software. Copyright © 2003-2019 Alfasado Inc. All rights reserved.